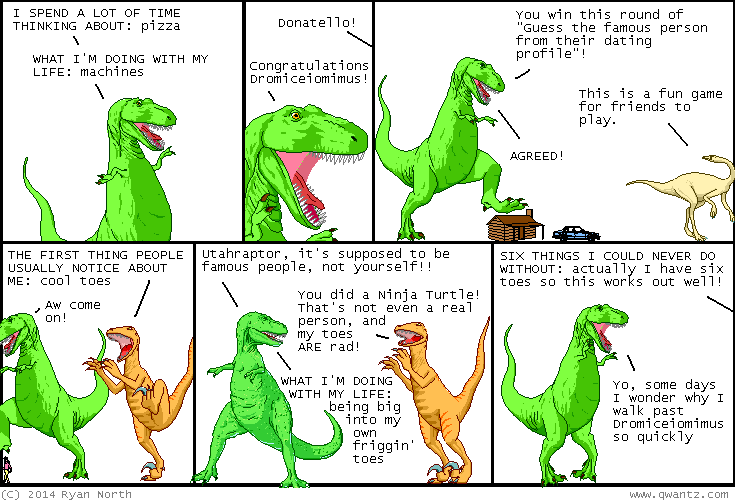 Dinosaur Comics - January 14th, 2014 - awesome fun times! January 14th, 2014: Tomorrow from 2-6 I'll be at The Dragon (Guelph, Ontario!) signin' comics! You should come out and say hi and I will write my name on you / your items!